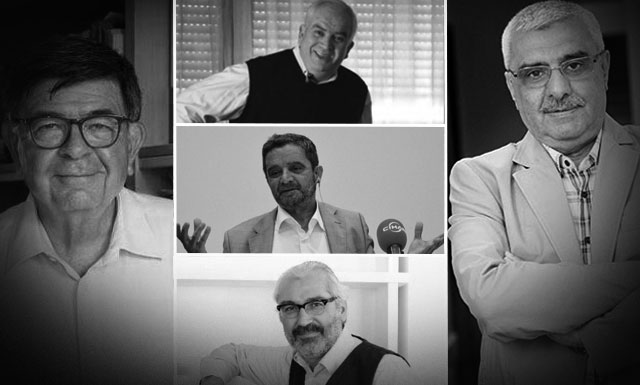 Thirty-one people, mostly Zaman journalists, appeared before a judge for the second time on 8 December on charges of aiding Turkey’s failed coup attempt of 15 July 2016 in a session held in the courtroom on the territory of the Silivri Prison Complex, which is currently home to some 150 journalists. Most of the suspects were marking their 500th day in prison on the day of the trial. The world didn’t seem to care. The crowds that attended the Cumhuiyet trial weren’t there. Only suspects’s families, several international observers and reporters from just two agencies and a local journalism organisation followed the hearing, which went on until after midnight. Among the defendendts were famous columnists as Şahin Alpay and Ali Bulaç. Zaman was the flagship newspaper of the Fethullah Gülen network, which has been declared public enemy number one since the attempted coup. Turkey claims that the Gülen network — with which the government had fallen out in 2012 — was behind the coup attempt. But foes of the government love to hate the Gülen movement, and maybe rightly so. At the peak of their power, prosecutors affiliated with the Gülen network conducted investigations into writers, secularist military officers and others, accusing them of plotting a coup against the then prime minister, Recep Tayyip Erdoğan, and the ruling Justice and Development Party (AKP). Many, including journalist Ahmet Şık, were jailed for months, some even years, on what today are known to be mostly false charges. The suspects, who already submitted their full defense statements in the first hearing in September, were allowed to speak in the second hearing. As is the case in most of Turkey’s politically motivated trials, the sense of a combination of personal tragedy and Turkey’s own traumas over the past decade — starting with growing polarisation, which some say lies in the heart of Turkish President Erdoğan’s successive election victories; unnamed regime change; a bloody coup attempt was almost palpable in suspect testimonies. Some were fearful, some resentful, some apologetic. Many said they regretted having written at Zaman, while few said they were proud. In stark contrast, former Zaman columnist and liberal academic İhsan Dağı — who was released pending trial earlier in the investigation and therefore testified via court-conferencing from Ankara, where he lives — was regretful. He said he agreed with the indictment, that the Gülen network was a terrorist organization and Zaman had become a mouthpiece for it. “I am accused because I wrote for the Zaman newspaper. I left the newspaper the moment when I understood that it had turned into a mouthpiece for FETÖ propaganda,” he said, which made him the only defendant to use the acronym used for the Gülen network by Turkish authorities. He said “FETÖ” was a “post-modern terrorist organisation,” hiding behind a legitimate face and using not its own weapons, but those of the state. She said she was known professionally for her opposition to all military interventions, against that as a defense reporter, this has made her life difficult as she was not well liked by military officers. “How can I know about an organisation where the senior administration of intelligence organisations failed to monitor and prevent?”, she asked. Lawyer Orhan Kemal Cengiz, whose name is named only mentioned once in the indictment — on a page which lists the names of the suspects — said he was included in the investigation after filing an application with the constitutional court against the government’s appointing trustees to Zaman. Saying that throughout his career he had defended people of all creeds, Cengiz said his inclusion in the indictment was a blatant attack on the right to defense. He asked for his acquittal. Columnist Şahin Alpay, who is 73 and who has complained of poor health, said he had been imprisoned for more than 16 months. Alpay said he was accused on the basis of seven articles published in the Zaman daily three or four years ago. “I sent in my articles via email and I never worked as an editor or executive at the newspaper. If there had been a judicial ruling about the Gülen network being a criminal organisation, I wouldn’t have written for Zaman for another day. If it had ever occurred to me that the members of this movement will one day participate in a coup attempt, I would have never written for Zaman,” he said. He also said he was not an enemy of the government, but had merely criticized its policies after 2011. Both Bulaç and Türköne had been with Zaman for a very long time and both are well known writers. İbrahim Karayeğen, a former editor said, “I don’t know what I am accused of. I can only make guesses. I worked as a night shift editor at Zaman for 12 years. I wasn’t an executive, I had no say on editorial policy. I understand that it is journalism on trial here. Journalism is not a crime,” he said. Defendants Şeref Yıldız, Onur Kutlu, İsmail Küçük and Hüseyin Belli, who were imprisoned for accepting old vehicles in return for premium payments owed by Zaman, also asked for their acquittal. Kutlu, Küçük and Belli were released in the court’s interim ruling. The next hearing will be heard on 5 April 2018.